NPower, 7-Eleven, PepsiCo and the Greater North Texas Tech Community are proud to present Jazz Dallas. This benefit concert on Tuesday, April 7, will bring together a community of business leaders committed to improving the lives of our Dallas veterans. The event promises to be a powerful evening celebrating NPower’s impact, acknowledging the outstanding support of its partners, and featuring the first public performance in Dallas by Grammy award–winning trumpeter Terence Blanchard. 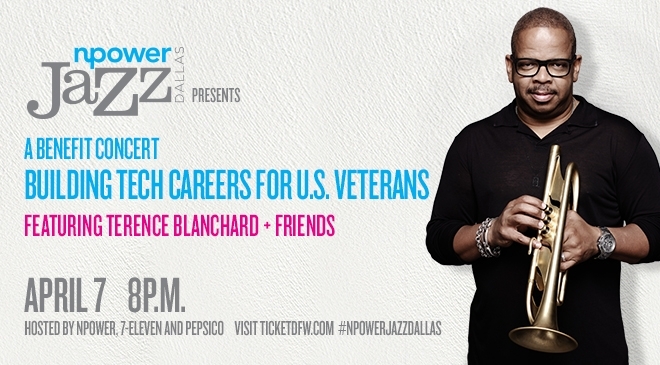 Support veterans by purchasing tickets to the NPower Jazz Dallas benefit! NPower Jazz Dallas is a great opportunity to contribute to the expansion of NPower’s programs in the greater Dallas area. There are more than 30,000 new U.S. Armed Forces veterans entering the job market each year. Nearly 1,400 veterans in the greater Dallas area are interested in benefiting from NPower’s free IT training program (Technology Service Corps), yet the current program only has capacity to serve about 100 veterans annually. 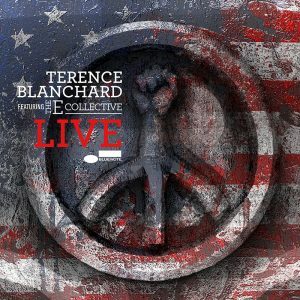 This talent pool coupled with the demand for bright, disciplined people with a high tech skill set is a tremendous source for building new career opportunities.By joining us at the fundraising concert, you are giving back to our veterans who have given so much to our country.